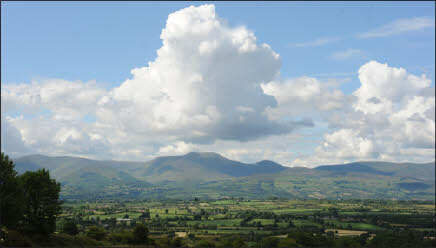 The first recorded history of GAA activity in the parish was in 1885. A year after the formation of the GAA, Anglesboro, along with seven other teams, affiliated a club with the South Limerick Board . However little is known of the subsequent history of this Anglesboro club. 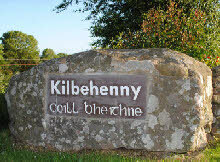 While there was no club affiliated in Kilbehenny until 1929, football games were regularly organised. 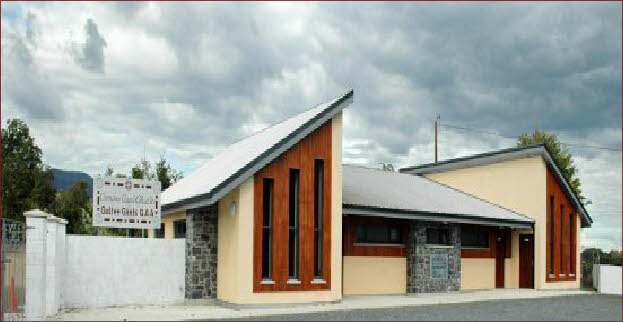 The parish, now represented by Galtee Gaels GAA club, draws its players from Kilbehenny and Anglesboro. The club fields Gaelic football teams at all age groups from U 8 up to and including Junior. Down through the years, various schisms and re-unification saw the parish represented by separate Anglesboro and Kilbehenny teams and for many years by the Galtee Rovers team. Formed in 2007, Kilbehenny Celtic played in the Avondhu League in North Cork from 2007 to 2009. They had considerable success in winning the league title in the 2007/2008season and the Avondhu Shield in the 2008/2009season. In 2009 the club voted to leave the Avondhu league and become affiliated with the Tipperary Southern District League. An official FAI leaguethe TSDL has four divisions and a premier Division. After a remarkable first year, Kilbehenny Celtic gained promotion to Division Three finishing second place with an impressive 34 points. In addition the club competed in a number of cup competitions including the Munster Junior Cup which Kilbehenny entered for the first time in 2010. In 2011 the club expanded further and set up a number of underage teams fielding both under 11 and under 15 boy’s teams as well as an under 12 girls’ team. take the first left as you enter the traffic calming measures approaching the village. If you’re the motorway, take the exit for Kilbehenny/Mitchelstown, go through Kilbehenny village and take the first right after the three counties bar. The pitch is about 3/4 of a mile down that road. The ladies minor team made the long journey west to play Feohanagh/Castlemahon in the B county final. In a low scoring game, the Gaels Ladies were under a lot pf pressure and good defensive work kept them in the game in the first half. The second half continued in the same vein with Gaels playing catch up against a much stronger Feohanagh thirteen. Towards the end of normal time Gaels again drew level and forced extra time on the score line 0 – 6 to 1 - 3. By this stage Chloe Cleary and Ciara Heenan, both really unfit to play, were struggling but extra time had to be played. With scores at a premium, the westerners early goal in the first period of extra time was a huge blow. Gaels rallied and before the second break, Roisín Breedy broke up the right wing took on the defence in from the wing, before firing a probing shot that found the net. The sides were all square 1 – 6 to 2 – 3 starting the second period of extra time. By this time Gaels had to call on their replacements, small in stature but big in spirit and they played a significant roll. Roisin Maunsell sent over two dream points as Gaels put in a final spurt, Roisín Breedy added a third. The westerners were also out on their feet but managed to claw back the margin to a single point. With time running out, Gaels were waiting for the final whistle when they again opened up the westerners defence. Meave Heenan took the ball in along the line and while under pressure held possession and won a penalty. Molly Ryan, finished off an outstanding display, putting the ball in the net. The Gaels defence was magnificent, keeper Gemma Geary and Emma Bourke deserve mention. The second match on Saturday took place in Knocklong so little time for celebrating in Feenagh. Galtee Gaels were expected to reverse last years result against Ballylanders and the sight of the Bally jerseys was enough incentive to get down to business early. Galtee Gaels were always in control and qualified for the final against Killacolla Gaels the following morning in Kilfinane. Killacolla were a different proposition, strong and physical, they offered stiff opposition for three quarters of the game. Gaels were put under pressure and lacked their usual fluency in attack. 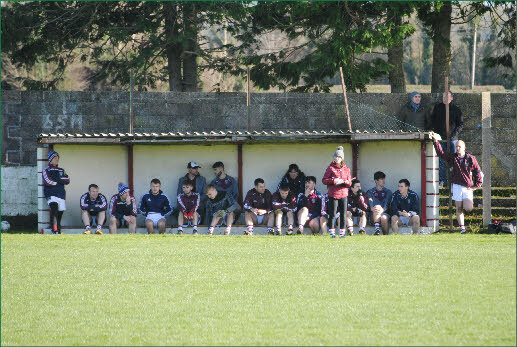 Gaels were flattered by a 0 – 4 to 0 – 3 half time lead. In the second half, Gaels started to grind out a result and as the game advanced the lead was extended. The game was put out of reach in the final ten minutes as the intense Gaels pressure yielded a flurry of scores. Gaels broke new ground by winning their first divisional A title and became the first holders of the Bill Fox Cup. Congratulations to Galtee Gaels GAA Club on receiving the South Limerick GAA Board’s Club of the Year Award. Mike Kelly, Galtee Gaels Chairperson, received the award at a presentation function held at Bulgaden Castle on Friday 9th March. Galtee Gaels had a very successful 2017 playing season, winning many divisional and county titles, including Adult County titles for the Junior A and Ladies Teams. Individual 2017 award winners included Mike Jones, the Galtee Gaels Junior A captain, who received the Junior A award. 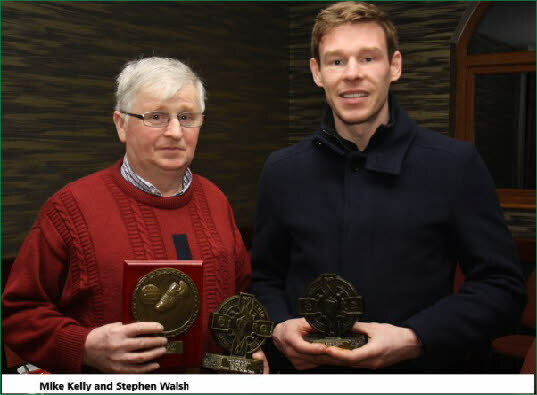 Tommie Childs received the Under 21 football award, while Danny McGrath received the Minor football award. Principal at Kilbehenny National School. Well done to all and every success in 2018. They defeated Anglesboro National School in the final. and Stephen Walsh, Principal Kilbehenny National School receiving their well deserved awards.